The food sector is looking for more solutions for productivity, speed of handling and time to market, food preservation and reduced waste all the time – current political issues are just accelerating that. Helena Sans from Barclays explores some of the technology that the sector is embracing and the improvements being achieved. There are myriad technological solutions to help them. Robots – of course – but also automated guided vehicles, smart warehousing solutions like scanning and servitisation, RFID for product identification, better packaging and package handling – many of these are mature solutions. Smart labelling technology being developed at the Centre for Process Innovation in Teesside, one of the High Value Manufacturing Catapult centres, aims to reduce food waste and health risks in perishable goods. With engineering companies Intray and Mexar, CPI is co-developing wet media formulations to ramp up production of a new Time Temperature Indicator label. These TTI labels, known as Oli-Tec, respond to time and temperature, using a green, amber and red traffic light system to highlight goods’ condition, with the latter notifying consumers that their safety could be as risk. This could save greater amounts of waste by alerting consumers to goods’ condition as they deteriorate. Food retailers tend to print conservative sell-by dates to protect consumer health, when in some cases the products can last several more days. One neat innovation that caught my eye is technology company Entopy’s new product, Tracca. It improves the visibility of goods in transit, trumping the simple location verification of an RFID tag. The mobile phone-sized device monitors the location and condition of goods in assets such as roll cages, pallets, totes, and barrels, assessing temperature and acceleration, indicating damage. Managers can see how much time these containers are lying idle; and which customers are hanging on to them instead of sending them back. Moving food in and out of factories and warehouses more quickly reduces time in transit, prolongs shelf-life (albeit marginally) and therefore reduces waste. Earlier this year Nestlé and XPO Logistics opened a 638,000-square-foot distribution centre at the new SEGRO East Midlands Gateway Logistics Park in Leicestershire. Called a “digital warehouse of the future”, it deploys robots and automation systems co-developed with Swisslog Logistics Automation to move product autonomously. Nestlé says the facility’s digital ecosystem will integrate predictive data and intelligent machines to deliver one of the most advanced distribution management centres in the world, giving consumers faster, more efficient food delivery. While the Nestlé plant is definitely a warehouse of the future, is it a one-off or a trend? One barrier for smaller food manufacturing companies to invest in modern plant technology is that contracts with supermarkets are notoriously short, routinely 12-months, and buyers still have a lot of power to refuse farmed produce on subjective quality and shape – so called “wonky fruit and veg”. Why would you invest in a robotic line or AGVs to improve efficiency if your contract could be switched off in a few months? 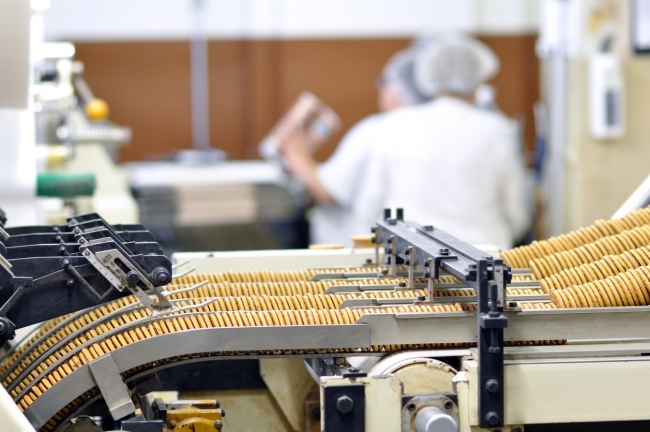 An area that deserves mention in the smart food industry is automation in warehousing. 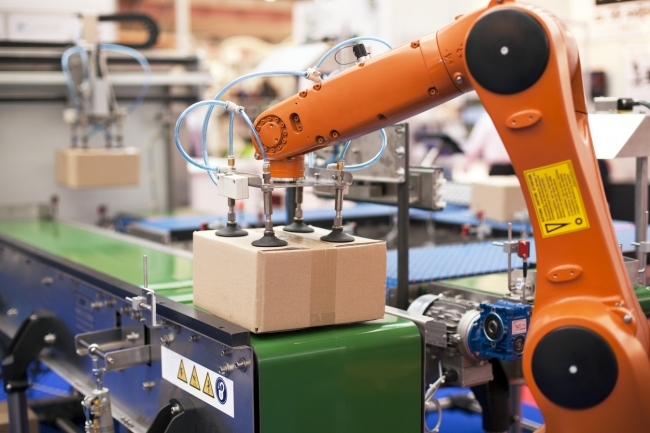 For many years, the main application of robots in warehouses was to assemble pallet loads for dispatch, where advocates of industrial automation could see many other applications. In 2018, says the Automated Material Handling Systems Association, demand is rising for order picking for e-commerce fulfilment. I suppose this is best illustrated by the well-known box-robot pickers used by Ocado for picking their online orders but now it seems such systems are used more commonly in food sector logistics. Another innovator, and disruptor, in warehousing is the new warehousing operator Stowga. It provides warehousing as a service, matching the volume, location, access, chilled/non-chilled and other requirements of the company to a specific building. Its an internet business, broking customer and supplier that many will think was bound to happen, like other price/service comparison sites. As a sector logistics is circumspect mood. Our recent Logistics Confidence Index fell from 56.7 in 2017 to 52.6 in 2018. This puts industry confidence close to the lowest ever levels seen – in 2012 and 2015. 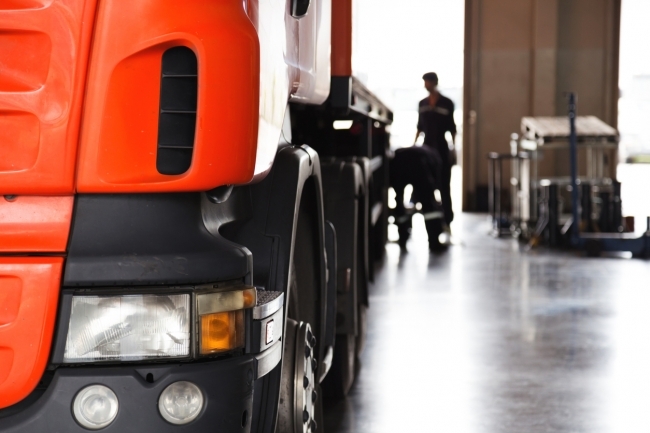 Brexit uncertainty and driver shortages dominated the survey. But the Index remains marginally positive, at above 50, and more than half of companies surveyed still say they expect to increase profits in the year ahead – suggesting that there is still optimism among operators. However, with technology-based disruption set to force the hand of businesses into adopting change, the SMEs in the food supply chain will also have to ensure they can adapt. While SMEs may not suffer the same difficulties of updating older systems as larger companies, the risk of betting on a new innovation could hit those smaller businesses harder than their blue-chip counterparts. Borders have become a primary focus in Brexit, whether in Northern Ireland or at the main commercial ports accessing Europe. A No-deal exit from the EU, although unlikely, might impact food supply chains for a number of months. A major reason is that these ports don’t have the infrastructure, like lorry parks, to handle inspections and bottlenecks. Peter Ward, CEO of the United Kingdom Warehousing Association, told the BBC in August that 44% of what the nation eats enters the UK at Dover from the EU, the equivalent of 1,000 trucks per day, both through the port and the tunnel. He explained the Port of Dover does not have the necessary plug-in points to power temperature-controlled vehicles, meaning the only way to ensure that food remains cool while awaiting inspection will be to keep diesel engines running – adding cost and carbon emissions. So the UKWA has called on the Government to adopt new legislation that allows foodstuffs entering Britain to be inspected at inland premises, instead of ports, to ease the flow of goods. This would allow existing storage premises to be adapted to accommodate inspection regimes and deliver the necessary extra capacity more quickly. While people have called for a technological solution to border control, it seems an ironclad system to reliably, electronically check and pass freight both at UK ports and cross the Irish borders does not exist – at least within the time frame we need, even though this transition period looks to be extended. I think one positive outcome of political uncertainty is that it has forced border authorities, companies and the government to be more efficient, and seek technological solutions that will also include greater self-sufficiency in domestic food production. Amazon’s purchase of Wholefoods in 2017 has given the retail giant a foray into the online food market, competing directly with Ocado and others. In late October, Amazon announced it will create 1,000 new jobs in the UK, including at least 600 “highly skilled” roles in Manchester working on software, machine learning and AWS, its cloud computing business. Part of this should be to boost its online food business – fuelling the perfect storm in our food sector further (putting more downward pressure on food firms), or providing welcome disruption on the grip of the Big Eight supermarkets? Amazon’s story shows that strong tech-based growth is possible for the right business model.